GMB, the union for staff in the NHS, welcome the agreement of Matt Hancock, Secretary of State for Health to meet with Steve Reed MP on matters arising from the ISS dispute at Kingston Hospital on the two tier pay and conditions for staff including sick pay. The dispute was raised in Parliament on Wednesday 6th February during Prime Minister's Questions. Steve Reed MP has now written to the Secretary of State for Health as follows: "Thank you for agreeing to meet with me about the issue I raised in Prime Minister’s Questions this afternoon. ISS are a contractor providing facilities services at Kingston Hospital. Some of my constituents are employed by them as porters and cleaners. ISS are currently in dispute with their workforce. The staff I spoke to told me ISS are one of the worst employers they’ve ever had, paying less than the London Living Wage which leaves many of their low-paid staff without enough money to cover their basic household bills and pushes them into debt. I am particularly concerned at allegations about ISS’s refusal to pay sick pay to their frontline staff – although they pay it to managers. One staff member claims to have been refused sick pay after having a stroke. ISS have a system in place that requires staff to build up credits before they are paid for days off sick. For instance, they get one day’s credit for working one month without sick leave. The effect of this is that staff living hand-to-mouth on such low pay feel coerced to come into work when they are sick rather than lose a day’s pay. Since they work in a hospital, they then run the risk of infecting patients, and you will understand just how dangerous contracting something like the flu can be for a vulnerable, elderly patient. ISS’s practice appears to me not only unfair to their staff but irresponsible towards patients at the hospital. I will raise directly with Mr Speaker the issue of ISS threatening to break off negotiations with the GMB trade union if they engage in ‘political campaigning’ on this issue, which managers made clear in discussions includes contacting their members’ MPs. I would be very grateful for the opportunity to meet with you to discuss ISS and the threat their practices pose to patients’ and employees’ health and safety at Kingston Hospital and, potentially, other sites where they operate." 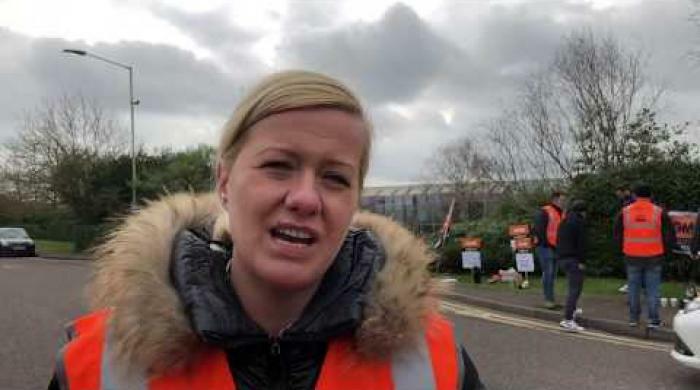 Helen O’Connor, GMB Regional Organiser for Public Services said: "The way ISS have been treating their workforce is now coming under parliamentary scrutiny. GMB welcome this. The issues ISS employers face is not getting decent sick pay and low wages are happening up and down this country. "The poor treatment private companies taking over our NHS mete out to hospital workers is a nationwide issue. ISS managers are so arrogant that they even thought they could get away with stripping our members of democratic right to access their MP. 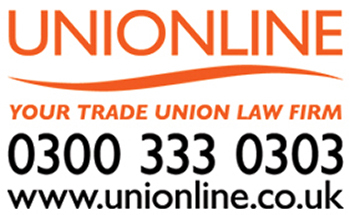 "GMB Union is determined to hold all of these private providers to account and I would urge every hospital worker to join a fighting trade union like GMB." 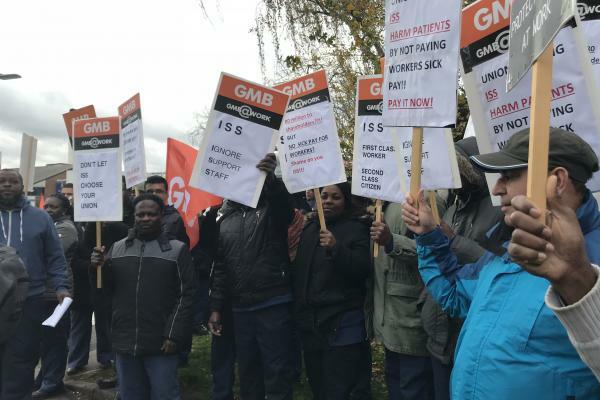 Paul Maloney, GMB Regional Secretary said: "ISS and the other outsourcing contractors make profits from public funds in the NHS by paying their staff below the agreed pay and conditions for the directly employed staff. It was never the intention that outside contractor's profit margins should be on the back of this two tier pay and conditions system. "GMB will never accept this exploitation of the lower paid workers many of whom are migrant workers. ISS need to face the reality that trying to gag staff supporting this GMB campaign against the two tier workforce will be called out. GMB members are heartened by this support from Steve Reed MP. 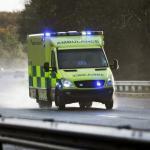 We look forward to members explaining to the Secretary of state for Health what life is like in the NHS for these vital workers under the two tier pay and conditions system."